Mars Education Program at ASU – This website from ASU has a lot of information about Mars and the Mars Rovers. Explore Mars – iTunes Link – These are videos hosted by IDEAL and NASA about Mars. Stargazing for Everyone – iTunes Link – I know this isn’t specifically about Mars, but these videos, hosted on iTunes by IDEAL, are interviews with the instructor from the Stargazing for Everyone program here in Arizona. Also, in Google Earth, you can view Mars. 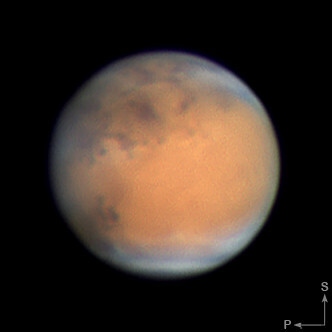 If you are unable to download GE, you can also see Mars in Google Mars in your browser.